Middle Georgia State University (MGA) evaluates success with respect to student achievement consistent with its mission, the MGA Strategic Plan, and with the goals and strategies of Complete College Georgia. MGA tracks the fall to fall retention of all first time, full time students. As a member of the University System of Georgia (USG) in the state college sector, MGA uses USG definitions of retention and compares itself to its state wide peers. The benchmark of success is to meet or exceed the average retention rate of all first time, full time students at USG state colleges. MGA has a significant minority population and also tracks the fall to fall retention of African American first time, full time students. As a member of the University System of Georgia (USG), MGA compares itself to its state wide peers. The benchmark of success is to meet or exceed the average retention rate of African American first time, full time students at USG state colleges. MGA tracks six-year graduation rates of all first time, full time bachelor degree-seeking students. As a member of the University System of Georgia (USG) in the state college sector, MGA uses USG definitions of graduation rates and compares itself to its state wide peers. 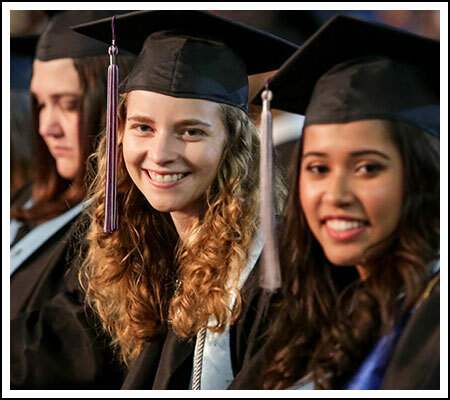 The benchmark of success is to meet or exceed the average graduation rate of all first time, full time bachelor degree-seeking students of USG state colleges. 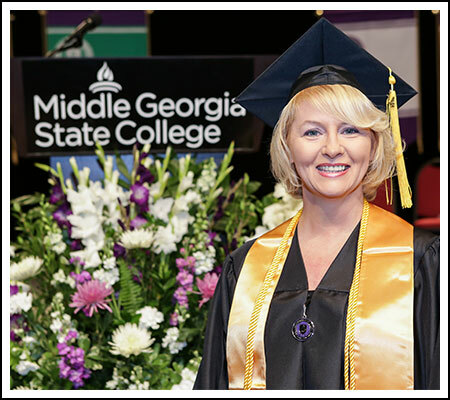 MGA tracks the number of degrees conferred in associate and baccalaureate programs to track increasing levels of student educational attainment. The benchmark of success is for the number of bachelor degrees conferred to exceed the number of associate degrees conferred. The benchmark of success is a 75% course success rate for all courses. MGA tracks success rates for Learning Support (remediation) courses. The benchmark of success is a 65% course success rate for all courses. MGA monitors students' performance on external examinations that are required for graduation and that lead to professional licensure or certification. The benchmark of success is to meet or exceed state pass rates. The benchmark of success is to meet or exceed CoARC mandated thresholds, which are listed on the linked document. The benchmark of success is an NCLEX pass rate of 90%. The benchmark of success is a pass rate of 80%. Data about student achievement on the Occupational Therapy Assistant Certification Exam can also be found directly on the NBCOT website.